I quit going to the community pool (Mt. Scott) last summer when I moved in with Michael. Mostly because I no longer lived near the Mt. Scott pool, but also because I was so annoyed with fighting people for lane space in the pool. If you are new to my blog, just to bring you up to speed: I lost most of my 100 pounds through swimming. So you can imagine that I was annoyed with people not following the rules! Not only that, there were always swimming lessons, swim teams, water aerobics, and “family swims” taking up more than half the pool. Sometimes there was only one lane open for lap swimmers. Sucky! 1. Even if the lanes aren’t marked, there’s usually a “Fast,” “Medium,” and “Slow” lane. 2. Don’t join a lane with fast swimmers if you are a slow swimmer!! This is my biggest pet peeve and it amazes me that people are so clueless about this. When I was a slow swimmer, I was too intimidated to join the fast swimmers. 3. 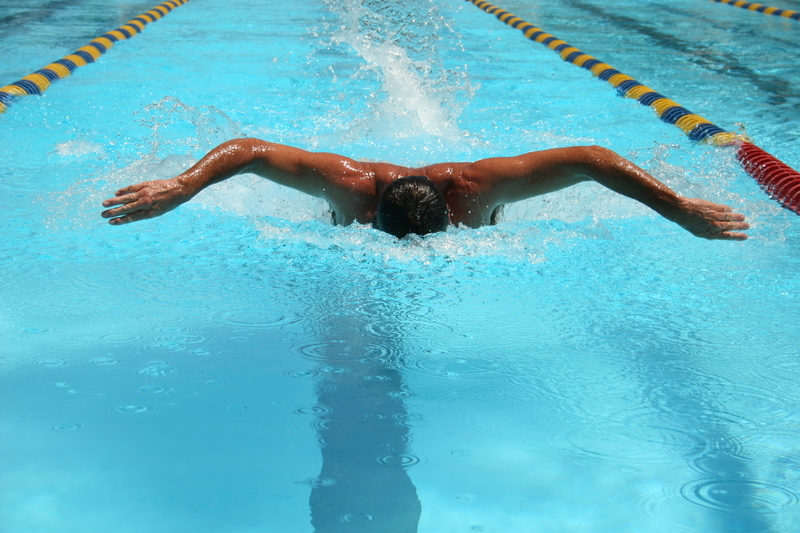 If there are more than two people in a lane, all swimmers need to CIRCLE swim. 4. 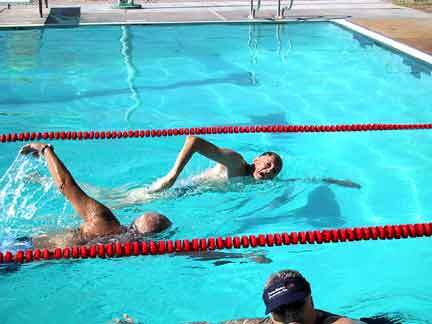 If you are joining a lane with another swimmer already in it, ask if they prefer to split the lane or circle swim. 5. Try to avoid passing other swimmers if the lane is crowded. If you do pass them, touch their feet to notify the swimmer and PAY ATTENTION to oncoming swimmers. 6. Don’t crowd other swimmers–either swimming too close to the center of the lane, or swimming right on someone else’s tail. 7. Don’t “Water Run” in the same lane as people lap swimming. Find another spot for that. 8. Take a shower before getting into the pool. Don’t swim if you’ve had diarrhea recently or any open wounds. That’s just gross! 9. If you need to rest between laps, move out of the way at the end of the pool to allow people to continue to swim. 10. If someone is trying to pass you, don’t speed up and don’t stop in the middle of the pool. 11. Don’t do the Butterfly if you are sharing a lane!! This is another one of my pet peeves at the pool. It’s incredibly rude to take up the entire lane to do a stroke. Wait until the other person leaves before doing the Butterfly stroke. QUESTION: Are you a swimmer? Did I leave anything out? I love to swim but don’t do it nearly enough. It’s such a nice break from running since it puts no stress on your joints, plus your heart pumps hard while doing laps! 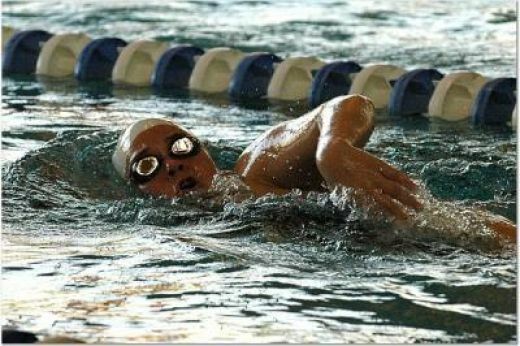 I firmly believe that my swimming prepared me to make an easy transition to running! 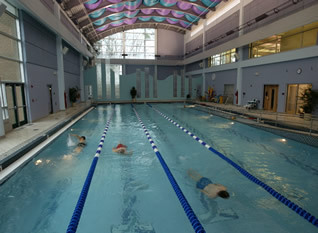 I hate water joggers in the lap swim lanes, especially when there is a huge section that they can use to do their work. Something else I hate is when people don’t want to share the lane with you. If all the lanes are taken and there’s nowhere else for me to go, don’t huff and puff when I join your lane. Totally agree with Beth’s comment! I am a new swimmer and was unsure of etiquette of how to share until I started asking people. I just get annoyed when people don’t stay far enough on their side when splitting. Marci-that annoys me too. I really hate being pushed into the ropes. VERY useful information, none of which I knew before. You great by the way! I’m ultra slow and really have no endurance in the water yet…which means I’m still too nervous to share a lane! If there’s nothing open I find another time to swim. I love swimming and was on swim team in high school. I wish I could find a pool nearby that doesn’t cost an arm and a leg, or a gym that has a pool, they are all too far away. You are lucky to have one nearby. I used to be a lifeguard and swimming instructor so people not following the rools at the pool really irk me! Luckily, I tend to swim in the mornings when the pool isn’t stupid busy!! Agreed! Going at off times is the best bet! Oh that would have made me mad too! Idiots! I just found your blog through the Healthy Living Blogs site and it looks like we’re both local to Portland AND frustrated with rude people in the pool!! Just last night I had some guy jump right into my lane to cool off from the sauna (TWICE!) and I almost ran into him (TWICE!). I snarled at him the second time and he’s lucky he didn’t come back because I had my karate chop to his head all planned out! I was a competitive swimming for 15 years. I even swam at high stake swim meets that Olympians participated in. I myself am not an Olympian but if I could cut about 5 more seconds off my 100 Free time I might have made it. One thing that annoys me when swimming is people who say they want to circle swim and swim down on the right side of the lane and then back on the left. It should be the other way around. Down on the right and then back on the left. Have you ever thought of find a master program through USS swimming. You will not find these problems there. I haven’t looked into a Masters program yet. I’ve thought about it though. love this! its key to ask if they want to split or circle swim. Please, people entering a lane should’t start swimming until all in the lane know they are there. I have had the bad experience of swimming in a lane alone and meeting head-on with a swimmer who just jumped in and started swimming. Freestylers swim with their heads down and many times don’t see people on deck, but will see them (usually at the wall during a turm) at the wall. So, new swimmers should enter the pool carefully and wait at the wall until acknowledged. Yes, that’s a good reminder!